The Whisker Pike range serves the bank and boat based angler with a model to suit. Featuring a balanced Magnum Taper action, two test curves of 3.0lb and 3.5lb are available on the 12’ dead bait rods. The Whisker Pike range serves the bank and boat based angler with a model to suit. 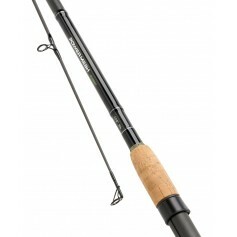 Featuring a balanced Magnum Taper action, two test curves of 3.0lb and 3.5lb are available on the 12’ dead bait rods.